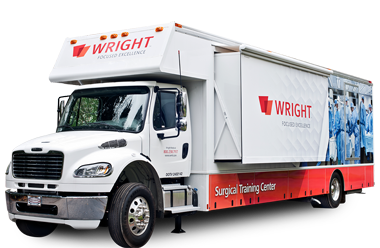 Without reservation, Wright strongly endorses both the letter and spirit of the AdvaMed Code of Ethics. Eucomed is an association representing the interests of European medical technology/device manufacturers. Eucomed believes that high quality, cost-effective medical technologies and related services can make a significant contribution to the safety and well being of patients and the improvement of healthcare systems. Eucomed’s members recognize that compliance with applicable laws and regulations and adherence to ethical standards are both an obligation and a critical step to the achievement of the aforementioned goals and can enhance the reputation and success of the medical technology/device industry. Eucomed is a member of MedTech Europe. MedTech Europe is an alliance of European medical technology industry associations established to represent the common policy interests of its members more effectively and efficiently. Members of MedTech Europe have adopted a common Code of Ethical Business Practice. The Code of Ethical Business Practice is intended to provide guidance as to the minimum standards which should apply to its members’ business practices in Europe and, generally, elsewhere. It is not intended to supplant or supersede national laws or regulations or other professional or other business codes (including company codes) which may apply to its members. The associations that are members of Eucomed ensure that their respective codes of practice, if any, are compatible. Without reservation, Wright strongly endorses both the letter and spirit of the MedTech Europe Code of Ethical Business Practice.